Neel Sutra, Gurugram, Interior Design by Architecture Discipline - ArchitectureLive! Sited at The New Oberoi Hotel in the suburban abode of NCR- Gurgaon, the hotel spawns a high-end luxury international experience. 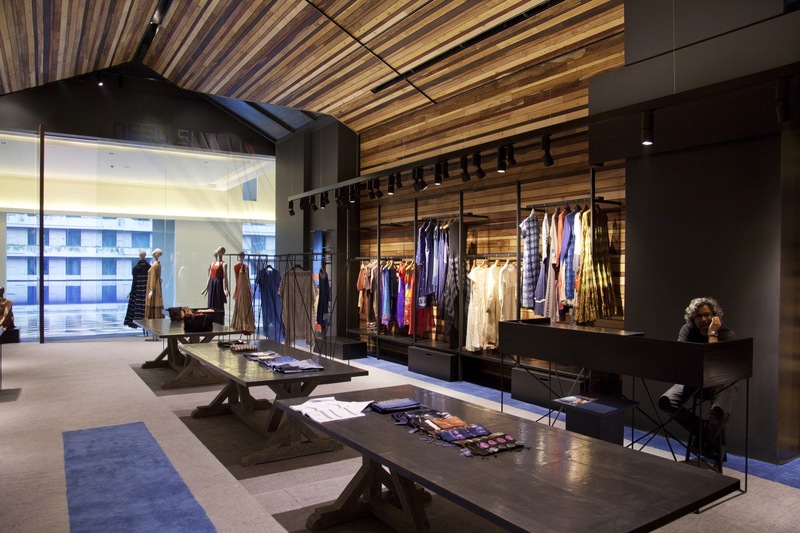 The customized and curated store is conceived within this international collective construct as a step ahead of conventional high street retail to showcase a motley bunch of Indian fashion designers. Contemporary design in India usually expresses the complexity in Indian Design discourse with kitsch. 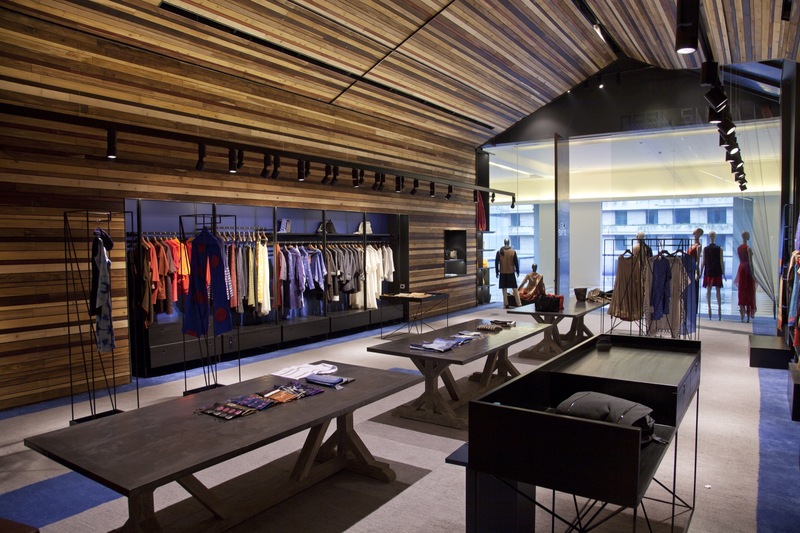 The India Fashion Store has envisioned the hut as a rudimentary notion of shelter. A candid reference is made to the Single Line hut diagram; planned in the form of the veritable architectural notion of the Plan, section and the Walls, a hut-like section with a pitched roof allows for the generation of a strong axis that facilitates the demarcation of the space into the two key components of a retail store- display and movement. 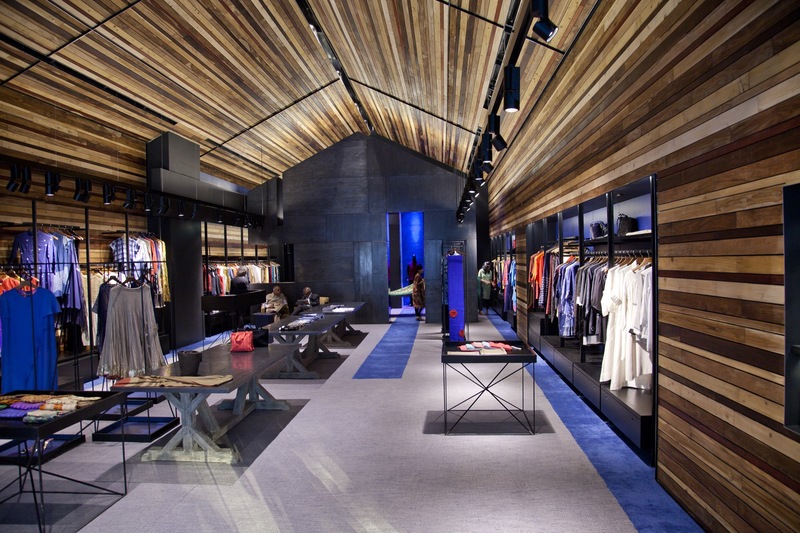 The Section exaggerates the linearity of the space, the entrance, and finally, its visual termination with a blue niche at the end to emphasize depth and the axis of the store. The aperture at the entrance transforms itself into the main door. The central space is left vacant for topical display, generating a scale that encourages people to look up towards the pitched roof upon entering. The Hut Wall mimics the elevation of a house with a window (where the attendant sits) and is clad in distressed zinc. An overall muted colour palette is used to offset the curated content at the store. 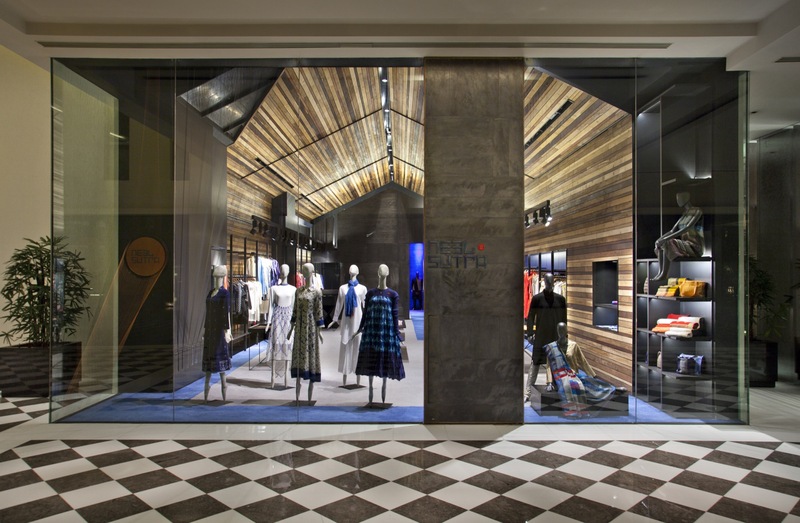 A threadwork installation (sutra- a remnant of textile weaves) at the front of the store in shades of blue (neel) and orange also makes a reference to the branding, terminating in the form of a woven wall at the extreme end. 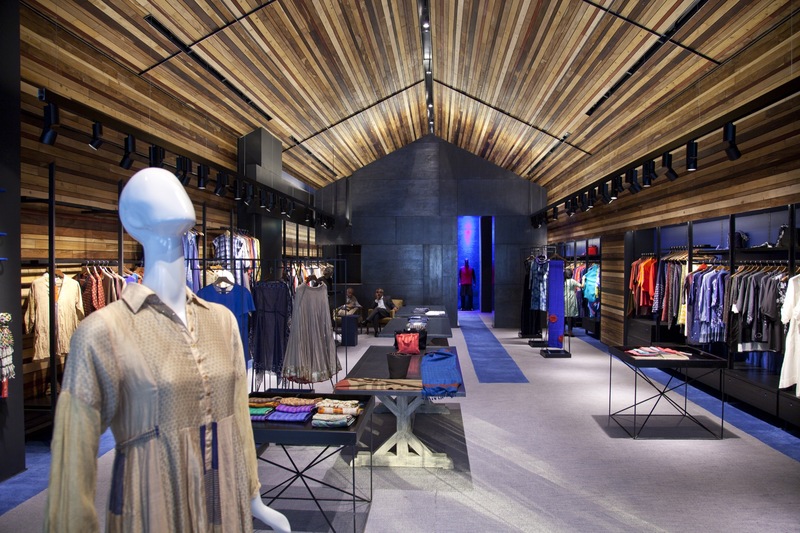 The experience of the hut-section, the clarity of the plan together with the presence of altar-like backdrop at the far end of the space renders Neelsutra as a unique, well-defined, progressive endeavor with a handcrafted approach in retail store design that is befitting to the avant-garde India. Site Area | 2200 sq. ft.
Built-Up Area | 2200 sq. ft.